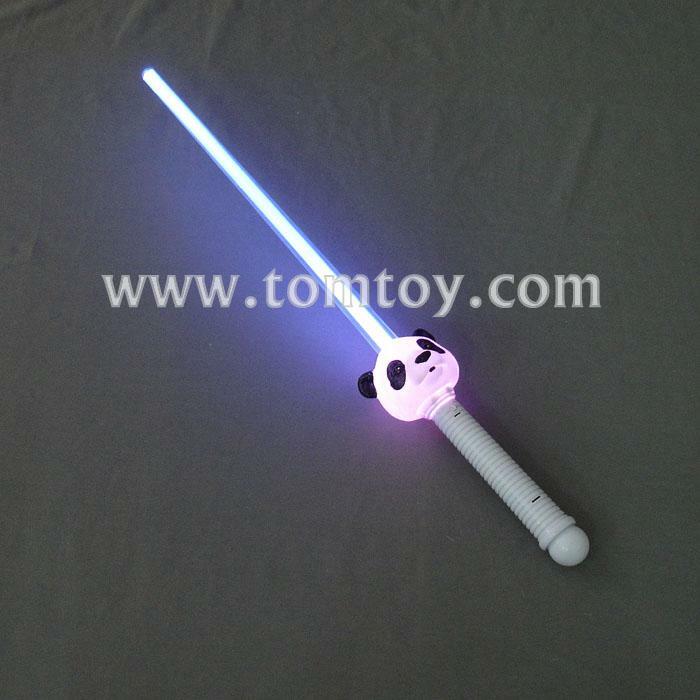 1.Our LED Panda Sword features bright LEDs and multiple light settings. Choose from 3 different fun flashing and color morph settings. 2.Perfect For Halloween Costumes, Birthday Parties & Everyday Fun! 3.Each Light Up Panda Sword is 25" long. 4.Our Prehistoric party toy comes with 3 AA batteries included and installed and can be replaced.